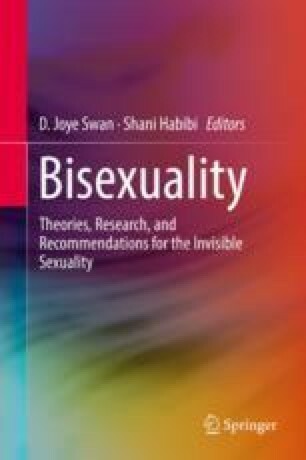 This chapter explores the interlocking effects of bi-invisibility, monosexism, and binegativity, and how the resulting lack of social support networks contributes to the mental and physical health problems experienced by some bisexual individuals. Further, this chapter will explore practical considerations for mental health practitioners treating bisexual individuals. Because research indicates that sexual minorities, including bisexual individuals, are more likely to seek mental health services than heterosexual individuals, it is imperative that mental health practitioners educate themselves regarding the issues faced by sexual minority individuals in general and bisexual individuals in particular, and consider these issues when determining an overall treatment approach. Specifically, it is essential for mental health practitioners to understand that bisexual individuals encounter additional challenges that are unique to their identities. Aggregated research from the relatively small number of available studies expressly evaluating the mental health of bisexual individuals indicates they are more likely to experience depression, anxiety, low self-esteem, substance use issues, and higher rates of attempted suicide than monosexual (the privileging of heterosexuality and homosexuality) individuals. The objectives of this chapter are to: (i) identify the unique mental and physical health challenges faced by bisexual individuals and (ii) discuss how mental health services can be tailored to better meet the needs of bisexual individuals. This chapter examines the impact of bi-invisibility, monosexism, binegativity, the stress associated with the coming-out process, violence, and sexual health on mental health outcomes. This chapter also addresses the importance of practitioners assessing their own attitudes and unconscious biases, the factors practitioners should consider when evaluating bisexual clients, case management approaches, the status of education and training in the area of bisexuality, and the importance of advocacy.